Tommi Transport is Los Angeles’ leading passenger car transport company, providing professional auto driveaway services. We provide a safer, more cost effective solution compared to car carriers by having licensed and insured drivers drive your vehicle where it needs to go. Having your car driven rather than loaded onto a car carrier avoids the potential damage of being on an open truck, damage to your car from loading and unloading it, and the delivery schedule delay of dropping off the other cars that are on the same truck. Our licensed professional drivers will move your car, truck, van, or SUV anywhere in the United States, ensuring prompt delivery at an affordable cost. People moving to and from Southern California prefer to use Tommi Transport over a car carrier because it saves time. With a car carrier often you have to wait until the company has a full load booked to have your vehicle picked up and delivered. This usually causes significant delays in receiving your car on-time – in many cases weeks after you need your car. We offer same and next-day pick-up services, giving you the flexibility to schedule your order when the time is best for you. Our driveaway service includes only professional licensed drivers who will drive your vehicle immediately to your destination, delivering it when you need it. Using a passenger car transport company is safer than contracting with a motor carrier. We do not store your vehicle in any lots after pick-up or before delivery like other transporters do. This minimizes exposure to vandalism and theft. Eliminate the risks involved with a high-profile trailer carrying multiple-vehicles – namely road damage, chipped paint, cracked windshields, and most importantly extra exposure to accidents. All of our car transport drivers meet stringent state and industry standards. We provide on-going safety training with our staff. We are fully licensed by the State of California and Department of Transportation, giving you peace of mind that your car, truck, or specialty vehicle is in good hands. If you are looking for auto transport in the Los Angeles area or nationwide, look no further. Tommi Transport offers complimentary quotes with no hidden fees. Let us make moving your passenger vehicle the easiest part of your relocation process. Contact us today! 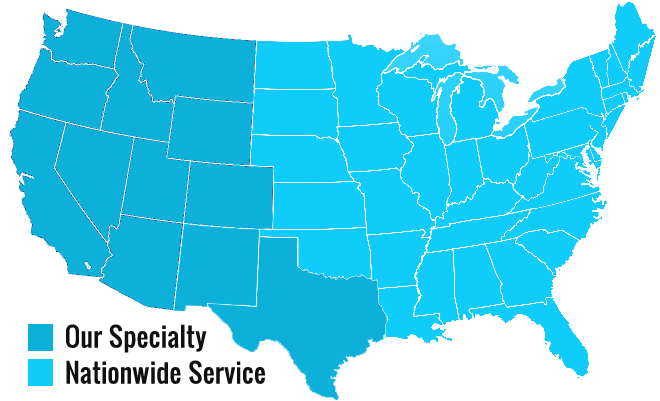 Serving South Western United States including California, Nevada & Arizona: Apple Valley, Anaheim, Arcadia, Atwood, Avondale, Azusa, Baker, Bakersfield, Baldwin Park, Barstow, Beaumont, Bloomington, Blue Jay, Blythe, Brea, Bryn Mawr, Buena Park, Button Willow, Camarillo, Carlsbad, Castaic, Cedar Glen, Cedarpines Park, Chandler, Chino, Chino Hills, Chula Vista, City of Industry, Claremont, Colton, Corona, Corona Del Mar, Costa Mesa, Covina, Crestline, Delano, Diamond Bar, Duarte, Ehrenberg, El Cajon, El Centro, El Monte, Escondido, Fillmore, Fontana, Foothill Ranch, Fresno, Fullerton, Garden Grove, Glendale, Glendora, Goleta, Grand Terrace, Guasti, Hacienda Heights, Hemet, Hesperia, Highland, Indio, Irvine, Kettleman City, La Habra, La Jolla, La Mirada, La Puente, La Verne, Lake Arrowhead, Lake Elsinore, Lancaster, Las Vegas, Llano, Loma Linda, Long Beach, Los Angeles, Lost Hills, Lytle Creek, Mentone, Mesa, Mira Loma, Modesto, Mojave, Monrovia, Montclair, Monterey, Moreno Valley, Mount Wilson, Mt Baldy, Murrieta, National City, Nipomo, Norco, Oceanside, Ontario, Orange, Oxnard, Palm Springs, Pasadena, Paso Robles, Patton, Perris, Phelan, Phoenix, Pinon Hills, Placentia, Pomona, Porterville, Poway, Ramona, Rancho Cucamonga, Rancho Mirage, Redlands, Rialto, Rimforest, Riverside, Rosemead, Rowland Heights, Running Springs, Sacramento, San Bernardino, San Clemente, San Diego, San Dimas, San Gabriel, San Luis Obispo, San Marcos, Santa Ana, Santa Barbara, Santa Clarita, Santa Fe Springs, Santa Maria, Santa Paula, Sierra Madre, Silverado, Skyforest, South El Monte, Tehachapi, Temecula, Temple City, Thousand Oaks, Torrance, Tulare, Tustin, Twenty Nine Palms, Twin Peaks, Upland, Valyermo, Ventura, Victorville, Villa Park, Visalia, Vista, Walnut, West Covina, Whittier, Wrightwood, Yorba Linda, & Yucaipa. We offer drive away, and over the road freight hauling services to anywhere in the continental United States. We specialize in the Western United States, including Washington, Oregon, California, Idaho, Nevada, Arizona, Montana, Colorado, Utah, Wyoming, New Mexico and Texas. We frequent our immediate area in California including Los Angeles, San Diego, San Francisco, San Jose, Sacramento, Oakland, Monterey, Ventura, San Bernardino, Rancho Cucamonga, Riverside and more. We offer a level of service that you will come to appreciate with high standards and old world values. We employ a wide range of professional drivers who can handle almost any specialty vehicle. See the Tommi Transport difference for yourself. 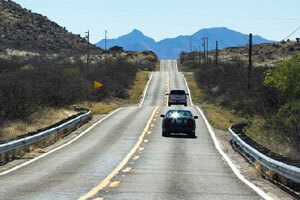 We'll drive your vehicle where it needs to go - across the city, state, or country.